The Big Print Project 2014 (a co-initiative with New Leaf Editions) was an event designed to highlight printmaking as a dramatic public event. 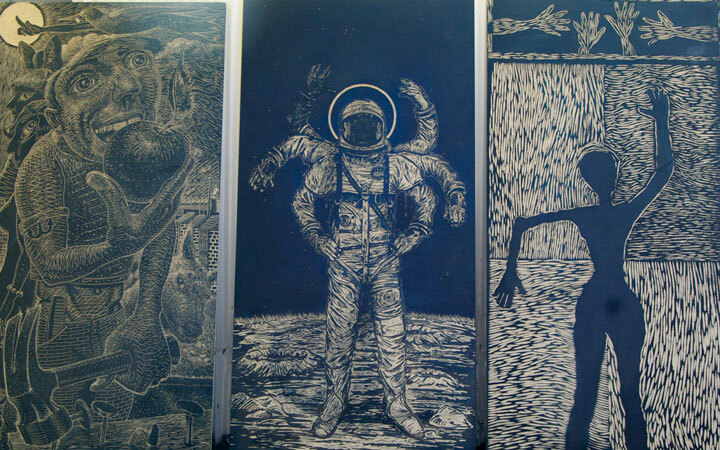 Drawing attention to the potential of large-scale wood-relief prints, it brought together a group of well-known artists as well as mentored artists in creating a suite of woodcuts. As a public event, Big Print Project culminated in a weekend of printmaking, incorporating a full size steamroller in the print process. The project took place over the BC Day weekend (Aug 2 – 4, 2014) in a festive Granville Island atmosphere.